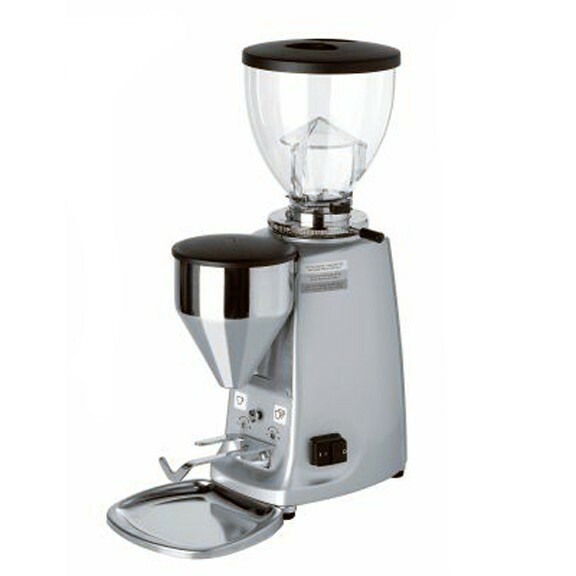 The Mazzer Mini Electronic Grinder looks like an art deco cross between a gum ball dispenser and a Peugeot. You were thinking it too, right?! A wonderfully goofy mix of industrial chic and utilitarian goodness together in one bean grinding package. It has a stepless grind adjustment and while it doesn't have a traditional dosing hopper, it still has programmable dosing so filling your portafilter using the Mazzer Mini has never been easier. Large Capacity - The sturdy clear plastic bean hopper with finger guard holds holds a whopping 1.3 pounds of beans and features an integrated trap door that allows for easy changing of beans without emptying. 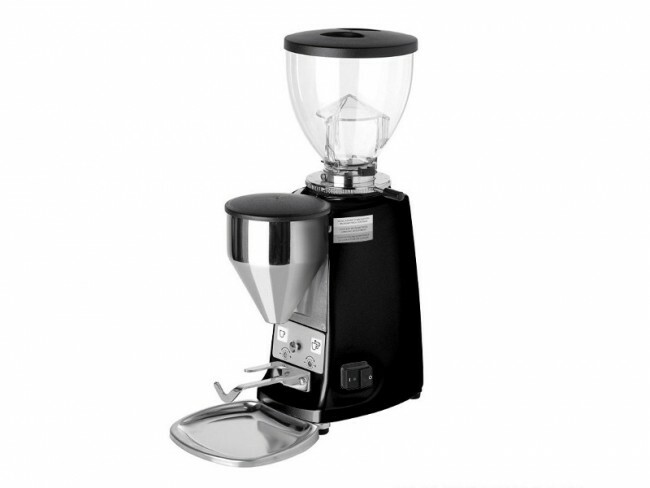 Consistent Grind - The stable stainless steel 64mm burr grinders are flat (rather than conical) and remove for easy cleaning. Designed to operate at a low RPM (rotations per minute) so that minimal heat builds up and is transferred to your beans. Doserless - While it doesn't have a traditional dosing hopper, it still has programmable dosing. You control between 4 and 16 grams per measure. 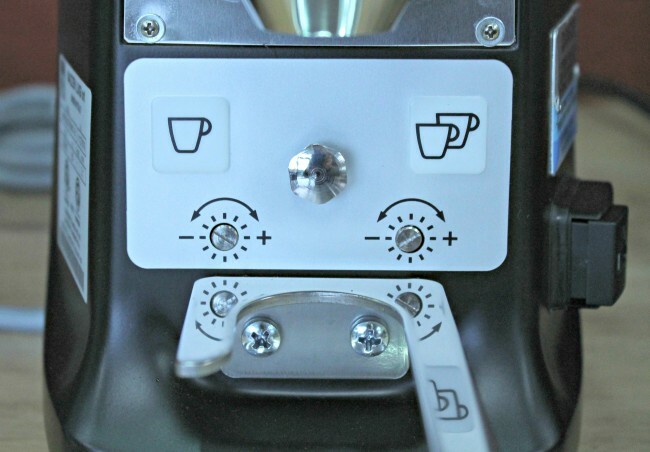 Doser Control - The precise operation you get from the doser is a nice touch if you want complete control over how much is loaded into your portafilter. Do not remove the wire grid from the funnel exit chute. This is an anti-static feature.